This week wasn’t as effective as prior weeks because I wasn’t as effective as prior weeks. Todays weigh-in puts be at 73.8kg – 400g up from last week. That’s not ideal. But I know why it happened. I was out of town for work during the week – having everything catered for me. Because I was out of town and busy, I didn’t make it to the gym nearly as much as I should have. Because I was busy I wasn’t making my own, home cooked dinners and lunches. I was back in my earlier trap of dinners out, and having to buy lunch the next day (no tasty leftovers). These are not excuses, these are reasons. Reasons I have identified and will work to counteract this coming week. If I wasn’t prepared to change them, they’d fester away and turn into excuse after excuse after excuse. I have confidence that this plan will work. So I’m back on track today. I will boss today so hard it won’t know what hit it. I am making today my b!tch. Watch out Saturday, here I come. 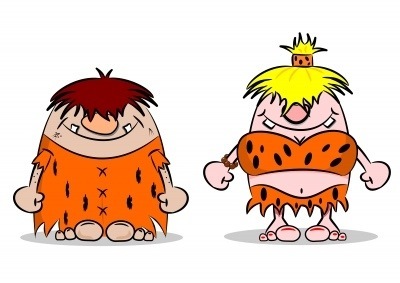 Is the IQS Programme Paleo? In a nutshell; no. Quitting sugar on the IQS plan is not a paleo diet. If I compare my paleo experience with the one I’m currently working through – they’re completely different. Well and truly different. When I stuck to a paleo diet, I ate a lot of fruit. It made up probably a third of my daily food intake. Possibly even more. That’s a crazy amount of sugar. So much sugar. Without it, I probably would’ve strangled somebody. Paleo – for my lifestyle – felt so restrictive. There were huge blocks of food-groups that I couldn’t have in my house. Quitting sugar doesn’t cut giant chunks of the food pyramid (which, granted, is still completely wrong). I’m just cutting out fructose. A type of sugar. I can have similar meals to what I had before, just by being really conscious of the ingredients and ‘tweaking’ them if I have to. It’s a bit of work, sure, once you’ve got your head around it it’s easy. Paleo means no dairy, processed foods, legumes, grains, starchy food, and alcohol. Either way may work best for different people – there probably isn’t one right way to eat for everyone. Especially if we’ve all been abusing our bodies for years… that’s got to mess with your body chemistry to a certain extent, right? Both ‘diets’ (for a lack of a better term) seek to address this abuse, but there are massive assumptions from both plans that we’ve all done the same kind of damage. For me, quitting sugar is showing more immediate results but it’s still early days. Am I willing to make a blanket statement which I expect to apply to everybody? Heck no. That is a massive trap. Find which works for you. And who knows, you might just go paleo and cut out fructose, too. If it works… I admire your self-discipline. Seriously. I have to go cold turkey. Oh Em Gee. Not just cold turkey from fructose – which I’ve been following 99% of the last two weeks – but cutting out the artificial sweeteners, too. The artificial sweeteners were only allowed “for now” in the first couple of weeks – as an alternative to the full-sugar stuff. But now… it’s getting kicked to the curb. Stevia’s okay. The rest can eat my shorts. Sarah’s book gives a lot of hints on how to get through the week – including suggestions for good suggestions, and how to extract the right information from food labels. Did you know that the first 4.7g of sugar from full-fat dairy products is lactose, and milk with only 4.7g of sugar is fair game – there is no fructose. And lactose is sweet enough to help fight off some of the cravings. Which is super helpful, and I should’ve remembered this last night before caving and savouring a couple of very tasty chocolate biscuits. And by a couple, I mean like… 5. Maybe 6. I tried to blank it out of my memory and started right back on track this morning. I’m feeling good about heading into this week – but it won’t be a walk in the park. Going cold turkey is hard enough, but I’ll be out of town for work during the week, too. Trips away are fun, but this one is fully catered by work… and I don’t know how much choice I’m going to have. How will it all play out? Who knows.